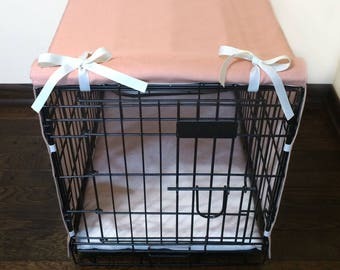 Please measure and enter EXACT length, width, and height of your crate, as well as your fabric choice. 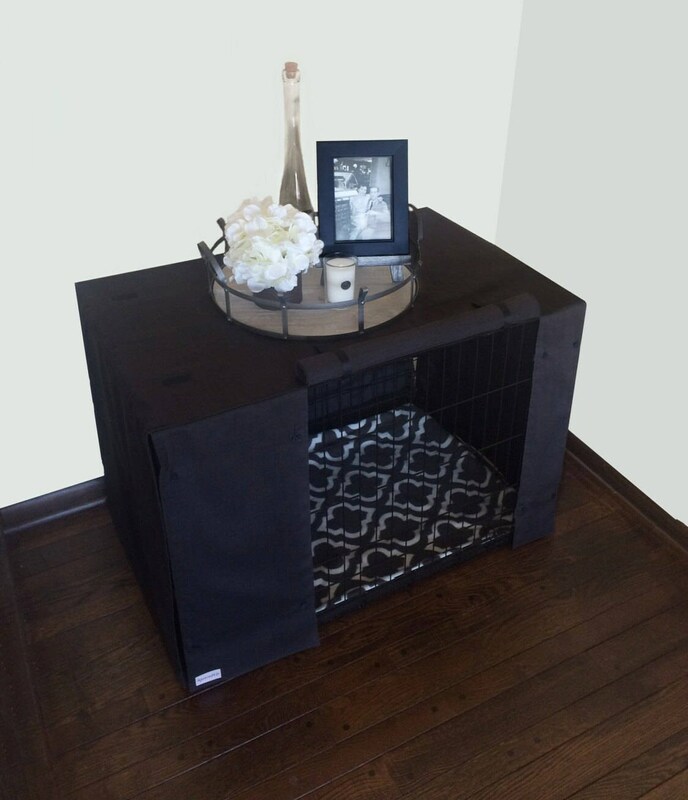 Your dog’s crate is a sanctuary to help them calm down and relax from the excitement and light that is going on around them. 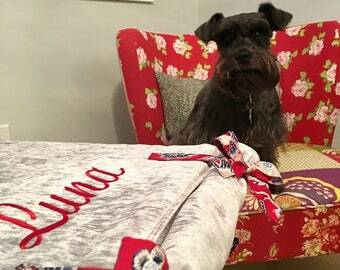 So, instead of covering your crate with a towel or sheet, cover it in beautiful fabric that matches your home's decor! ▲ All orders are custom made. Pricing is based off of the length of your crate (Longest measurement). When ordering, please indicate in the "Notes to seller," the EXACT dimensions of your crate (Please measure before ordering, as the box dimensions are typically not accurate. Unlike my other covers, each cover has the option of adding custom features as listed below. The Bordered Cover allows for only the door to roll up, leaving panels (the sides next to the door) down. 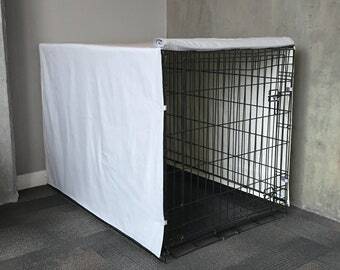 This helps in giving your pup more of an enclosed space and gives the wire crate more total coverage. *Please make sure the dimensions of the boarders are correct. This will ensure the cover doesn't get in the way of the door. - Buttons are a very chic and secure option. The buttons prevent the chance of your pup pulling the cover in, near impossible! 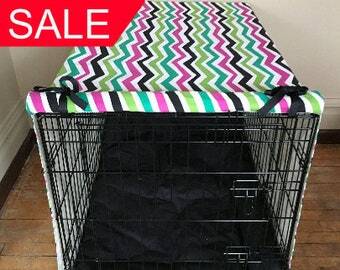 - If you would like the longer side of your crate to be the door (instead of the short end), there is an additional fee due to the additional fabric that will need to be purchased. Dry Clean only. These covers are made from 100% upholstery cotton and washing it may distort the fabric. Spot treatment and ironing on medium heat is okay. If you see any lined markings on your cover, please note that they were used for precision when making your cover and will wash out. Fits perfectly and is really great quality! 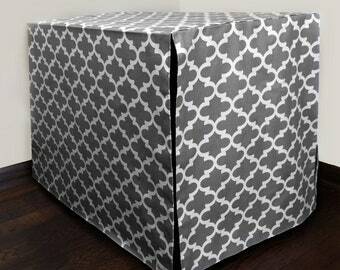 Would highly recommend to anyone looking for a crate cover that makes a crate look more like furniture. I’m so glad I ordered from this shop it’s the perfect size and looks amazing and durable !